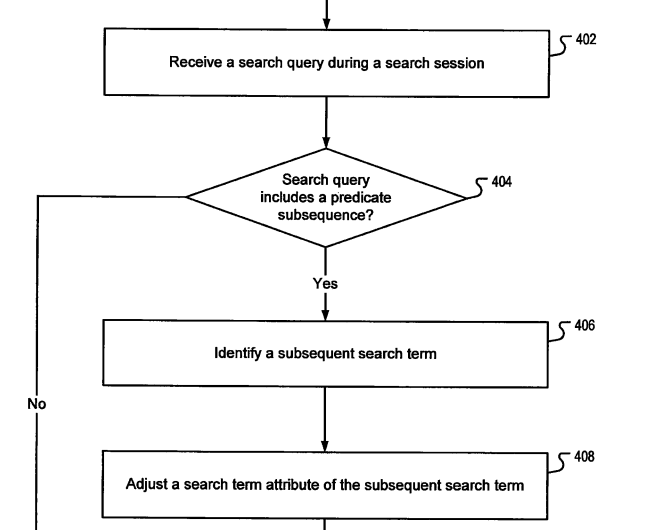 Google uses a special technique known as "Contextual Search Term Evaluation" to rewrite search queries in order to return relevant search results. Google does this by finding "Predicate Subsequence" and "Subsequent Search Term". As an example, user enters the search query "mercedes benz petrol" and then after some time, another similar search query is entered that is "mercedes benz diesel". These search queries are entered during a particular search session that depends on a number of factors like time period, same context queries, query entered after the user logs in etc. Finding "Predicate Subsequence" and "Subsequent Search Term"
The Predicate Subsequence will be the same set of words/terms that are used in all of the search queries entered by the user during a search session. In the above example, "mercedes benz" are used in both the search queries making it a Predicate Subsequence. Any search terms used after the Predicate Subsequence will be the Subsequent Search Term. Here, "petrol" and "diesel" are identified as subsequent search terms. Hence, two main sets of terms are required before contextual search evaluation can take place. There are 3 main attributes that is used by Google based on the search query terms. These attributes adjust the final search query phrase and the associated weight of the terms used in the query. The final query which consists of "Predicate Subsequence" and "Subsequent Search Term" along with their scores or variants is used to fetch the final results. 1- Weight Adjustment - Based on the overall context of the search session, some terms are assigned a greater value than the others. Hence, every term has a weight that is directly related to the importance Google assigns to them while fetching the results. 2- Optionalization Adjustment - In some cases, the "Subsequent Search Term" will not be required and instead, it will be used to refine search results already processed by the "Predicate Subsequence" terms. 3- Variant Adjustment - In some cases, a variant of the Subsequent Search Term might be used to display relevant search results. For example, in a query "american tourister bags", the term "bags" can be replaced by the term "backpacks" as it is the closest matching contextual variant of "bag".